First is a plant grown from seed – saw it at Sissinghurst but plant I bought died in the winter, so for some crazy reason managed to get seed from California and one survived. First time it’s flowered. 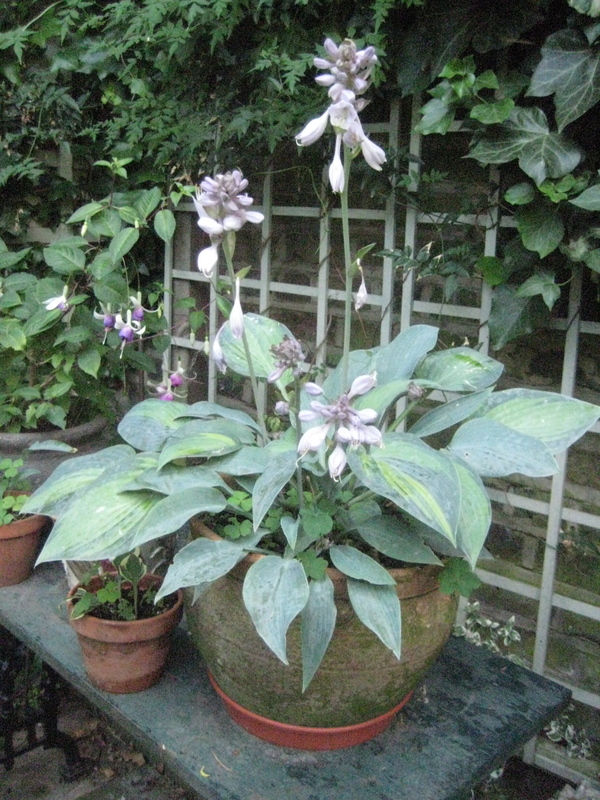 Then we have a Hosta which I have put on a table to keep slugs and snails away – and lastly an Agapanthus. 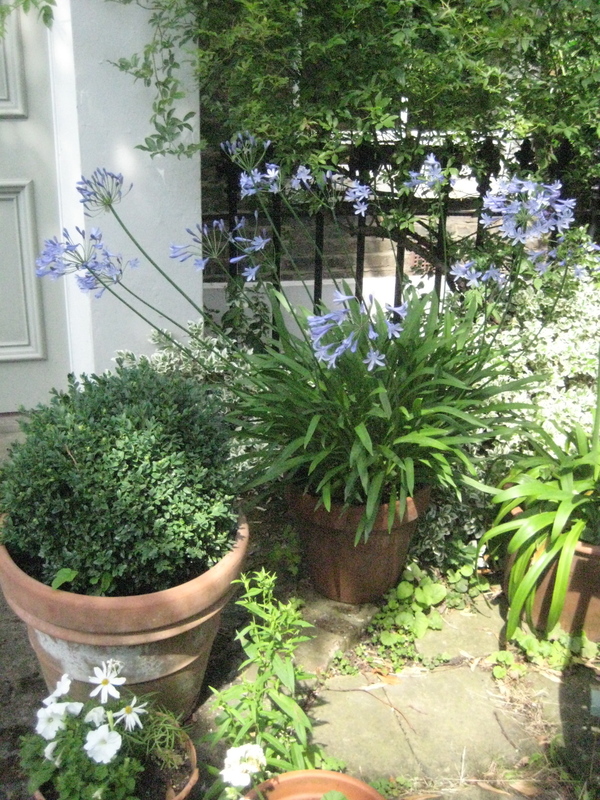 Image | This entry was posted in Gardening, Life, Living in North London, Uncategorized and tagged Agapanthus, garden, Hostas, seeds, Sissinghurst. Bookmark the permalink. Reblogged this on Mrs Potts the Painter's Wife.